Pacific Rim Woodworking creates beautiful, hand-crafted bed frames and bedroom furniture. 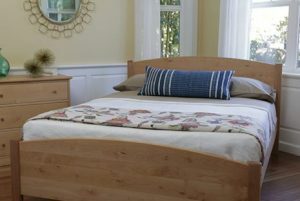 Bed frames and bedroom accessories are made with solid maple from forests in Washington and Oregon. These forests are managed with an eye to the future. Pacific Rim is committed to minimal environmental impact and is green certified. 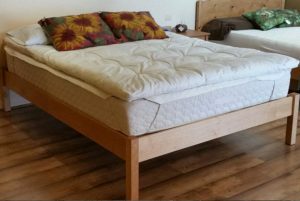 Pacific Rim is our choice of natural bed to pair with your organic mattress. With Pacific Rim’s beautiful maple and attention to detail, this furniture is stunning: the craftsmanship is flawless and the wood grain is lovely with its natural variation. The Natural Sleep Store is proud to offer a full range of Pacific Rim products. There are four distinct bedframe styles Classic Bed, Pacific Rim Maple Bed, Arts and Crafts Bed and the Modern Bed; along with matching nightstands and dressers. The Pacific Rim Crib is available in Arts and Crafts, and Radius styles. All of the pieces are hand finished with tung oil. The tops of the dressers and nightstands are also finished with beeswax. All joints are mortise and tenon. The Pacific Rim Modern Bed features the same stylishly curved headboard as the Classic Bed, but with a straight footboard for a more modern feel. The clean lines of the frame make it the perfect piece for a multitude of design preferences. Available in solid maple and solid natural cherry. 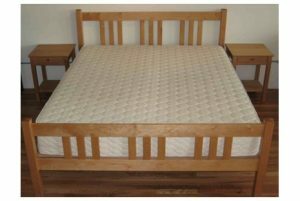 $924.00 – $1,700.00 Solid wood bed frame made from Maple or Cherry. The curve of the headboard and footboard of the Pacific Rim Classic Bed give this frame a classic look that is sure to stand the test of time. Solid craftmanship makes every Pacific Rim piece one that can be passed down from generation to generation. Choose solid maple or solid natural cherry. 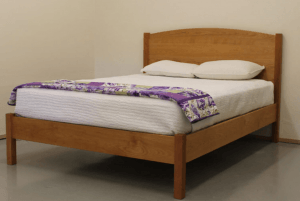 $940.00 – $1,769.00 Solid wood bed frame made from Maple or Cherry. Crafted with the same clean look and finish they are known for, the Pacific Rim Arts and Crafts Bed adds an interesting design feature with the spindled headboard and matching footboard. This frame is available in solid maple and solid natural cherry. A modified footboard option is available for those who like the style of the headboard but prefer a low height footboard. 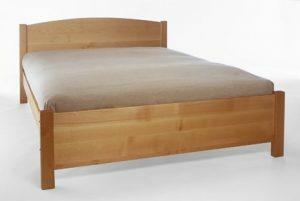 $1,040.00 – $1,911.00 Solid wood bed frame made from Maple or Cherry. For a unique look, the Pacific Rim Combo Bed features a convex curve of the headboard the same as the Pacific Rim Classic Bed, but the concave curve of the footboard is the same as the Pacific Rim Maple bed. Solid craftmanship makes every Pacific Rim piece one that can be passed down from generation to generation. Choose solid maple or solid natural cherry. The Pacific Rim Silhouette Bed features a straight headboard and footboard for a clean modern look. The clean lines of the frame make it the perfect piece for a multitude of design preferences. Available in solid maple and solid natural cherry. 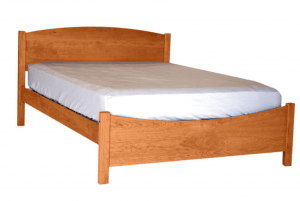 $910.00 – $1,700.00 Solid wood bed frame made from Maple or Cherry. The simple yet sturdy craftmanship of a Pacific Rim Bed Frame is hard to beat. The upward curve of the headboard and footboard gives a subtle whimsy to this beautiful bed frame. Although this frame is called the “Maple Bed”, it is available in both solid maple and solid natural cherry. The Pacific Rim Cascade Bed and Rio Grande Bed feature a straight simple headboard for a classic but modern look. The Cascade and Rio Grande Bed are identical with the exception of the legs, side rails and headboard height. The Cascade has thicker legs at 2 1/4 inches with 7 inch side rails and a 43 inch headboard height. The Rio Grande has thinner legs at 1 3/4 inches with 6 inch side rails and a 38 inch headboard height. Available in solid maple and solid natural cherry. 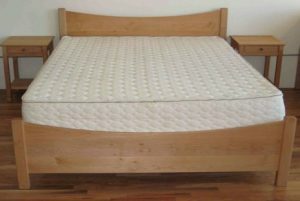 $890.00 – $1,798.00 Solid wood bed frame made from Maple or Cherry. The Pacific Rim Rainier Bed and Shasta Bed feature a classic curved headboard and a straight footboard for a simple, classic look. The Rainier and Shasta Bed are identical with the exception of the legs and side rails. The Shasta has thicker legs at 2 1/4 inches with 7 inch side rails with a 43 inch headboard. The Rainier has thinner legs at 1 3/4 inches with 6 inch side rails with a 38 inch headboard. Available in solid maple and solid natural cherry. 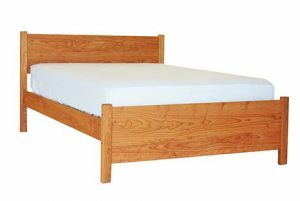 $930.00 – $1,859.00 Solid wood bed frame made from Maple or Cherry. The Pacific Rim Columbia Bed and Rogue Bed feature a straight headboard and footboard for a simple, modern feel. The Columbia and Rogue Bed are identical with the exception of the legs. The Columbia has thicker legs at 2 1/4 inches. The Rogue has thinner legs at 1 3/4″. Available in solid maple and solid natural cherry. 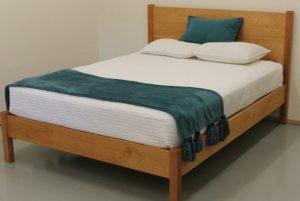 $590.00 – $1,264.00 Solid wood bed frame made from Maple or Cherry. A beautiful compliment to a Pacific Rim bed frame, Pacific Rim Dressers are built to last. Made with FSC certified solid western big leaf maple or solid natural cherry, these dressers feature full rectangular web frames and metal drawer guides for durability. 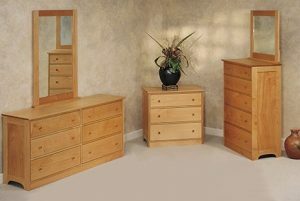 Pacific Rim dressers are available with three, five or six drawers. Matching nightstands are also available. $1,190.00 – $2,398.00 Crafted using traditional methods and built to last a lifetime. Available in three, five, or six drawer. Solid maple or cherry. Made with the same impeccable craftsmanship the company is known for, the Pacific Rim Nightstand is the perfect compliment to the Pacific Rim bed frames and dressers. 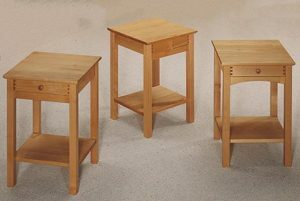 With clean and simple lines, these solid maple or cherry nightstands are beautiful and built to last. They are hand finished and are available in the Arts and Crafts or Classic style. $470.00 – $569.00 Solid maple or cherry wood nightstands that match Pacific Rim Beds. Solid maple or solid cherry crib for baby. A great choice for your organic crib mattress. 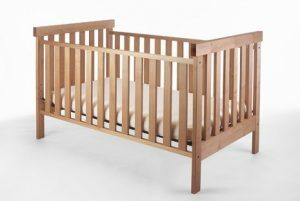 $1,340.00 – $2,000.00 Solid wood crib in either maple or cherry. All of the Pacific Rim furniture is built in Eugene, Oregon. Each piece is made from solid maple and is hand finished with tung oil. The tops of the dressers and nightstands are also finished with beeswax. All furniture has a natural finish but can ship unfinished on request. All joints are mortise and tenon. On Platform beds, the slats are made with solid fir held together with jute webbing. Pacific Rim is committed to minimal environmental impact and is “green certified”. This means that the wood is harvested from Pacific Coast forests that are being managed with an eye to the future. They donate left-over wood to schools and community centers. Their sawdust is used for compost. We are very impressed with Pacific Rim’s commitment to the environment. Pacific Rim was founded in 1981 in Eugene Oregon building furniture for the growing futon industry. More than twenty years later, Pacific Rim is still in the business of making heirloom quality bedroom furniture with an environmental focus and a personal touch.